Chief Constable, James Vaughan, said the force may only be able to provide "the most basic services to the most vulnerable". More than 400 knives & blades, included hunting knives and swords - have been handed in to police during a 4-day knife amnesty in Dorset. A merger of Dorset Police with Devon & Cornwall Police appears to be have been cancelled after the proposal was rejected by one side. A public meeting in Bournemouth took place on Monday night to discuss the possible merging of Dorset and Devon and Cornwall Police. The controversial plans to merge Dorset Police and Devon and Cornwall Police was announced in September last year. Dorset Police "Thanks for your support"
Dorset Police have issued a thank you message to the local community following two days of heavy snow and ice. A Dorset police officer has been immediately dismissed after breaching professional standards. Police Constable Kenneth Walmsley admitted using a police pool car for personal use and improperly using the police computer information system. He also used a police fuel card to refuel the vehicle. A misconduct hearing found that the officer had breached the standards of professional behaviour for police relating to orders and instructions, confidentiality, discreditable conduct and honesty and integrity. The hearing was told that PC Walmsley had since repaid all the money that was charged to the fuel card. 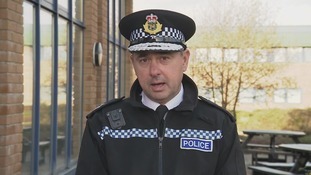 PC Walmsley also admitted searching for information relating to family members on the Dorset Police computer information system, which is a breach of Force policy. He did not disclose the information he obtained from the searches to anybody else. “Police officers have to adhere to the highest standards of both professional and personal behaviour." “Members of the public quite rightly expect the core value of honesty and integrity to be upheld and demonstrated by officers within the police service. By abiding to this standard, officers gain and maintain the trust of the public, which is essential to policing our local communities." “I recognise that PC Walmsley served Dorset Police for more than 15 years prior to these incidents and showed remorse for his actions, which he fully admitted. However, it remains the case that his behaviour saw him fall below the standard expected of officers and took place over a period of several months." Dorset Police have issued a missing persons appeal for help to find a missing 20-year-old man from Blandford. Jack Lane was last seen at home in Eagle House Gardens at about 7.30pm on the evening of Friday 15th September. He is white, about 5ft 10in tall and has dark brown curly hair. He was wearing a black hooded top, black jeans and blue trainers the last time he was seen. He left the address in a blue Vauxhall Corsa with the registration number X283 XMS. "I understand that Jack may have been upset recently and I'm becoming increasingly concerned for his welfare. "I would ask that anyone who knows of Jack’s whereabouts or the location of his car to please contact Dorset Police urgently. "Finally, if Jack sees this appeal please get in touch with us. Your family are very worried about you and want to know that you are safe." Anyone with information can contact Dorset Police via an email to 101@dorset.pnn.police.uk or by telephoning 101 and quoting incident number 15:454. You can also contact Crimestoppers anonymously via their website or by telephoning 0800 555111.